New Delhi: The Commissioner for Metro Railway Safety (CMRS) is scheduled to undergo inspection of newly completed stretch of Delhi Metro’s Pink Line between February 26 and 28 before a line is opened for public. Recently the trial runs on the 20.6 km-long Majlis Park-Durgabhai Deshmukh South Campus stretch of the upcoming line between Majlis Park and Shiv Vihar were “succesfully” conducted, and the section is awaiting safety clearance from the Commissioner for Metro Railway Safety (CMRS). According to Delhi Metro official, if the safety clearance received from CMRS then the section will be opened for public very soon. 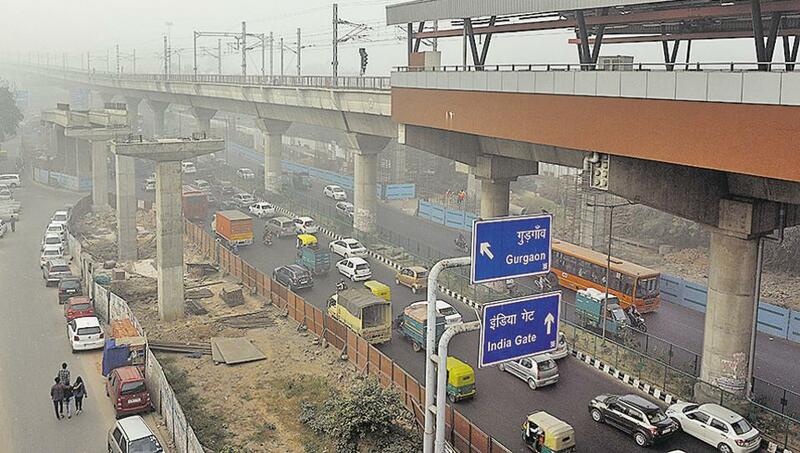 The stretch for safety inspection constitutes one-third of the entire 58 km-long line and has 12 stations including three interchange stations at Azadpur, Netaji Subhash Place and Rajouri Garden. Once the line is operational in April 2018 (as expected), a journey from South Campus to Vishwavidyalaya will take around 35 minutes with an interchange at Azadpur.